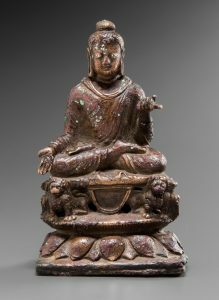 Jacques How has been collecting and dealing in Chinese and Southeast Asian art for many years, specialising in particular in Himalayan art and ritual objects, rare early Buddhist art (he focuses on Dali Kingdom sculpture) as well as archaic works of art. Several museums, institutions, dealers and private collectors are among his clientele. He is a distinguished member of Asian Art in Brussels and in addition to Fine Art Asia, he also exhibits annually in Paris during Parcours des Mondes.